A California court (Superior Court of California, County of San Diego, Case No. DN179669) has applied my expert testimony concerning Japanese child custody law in refusing to order the relocation of a child to Japan. The Court ruled that, although the “Burgess and LaMusga factors” weighed in favor of permitting the relocation, the enforcement issues as to which I testified were so serious as to require that the relocation application must be denied. Specifically, the Court found that the mother was presumptively entitled to relocate with the child because she had sole legal and physical custody of the child, but that the father had met his burden to show that the move would cause detriment to the child by demonstrating that relocation to a foreign country would substantially interfere with his ability to have any relationship with the child. 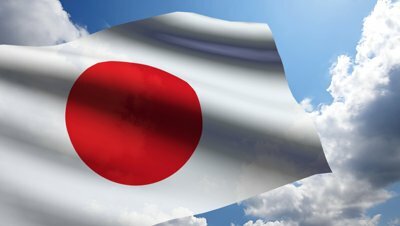 The Court’s fundamental concern was as to whether or not the terms of an order that required substantial access for the father would be enforceable in Japan. “Jurisdiction problems making local orders unenforceable in the foreign country including foreign registration of the local order-this is of most concern to the court. Mother argues through her expert …, an attorney practicing Family Law in Japan, that despite the fact that Japan has a documented history of failing to enforce foreign orders, that things have improved more recently and in fact Japan now enforces foreign orders. She notes that Japan has taken a new approach to international custody orders since they joined the Hague Convention in 2014. Father argues through the testimony of his expert Jeremy D. Morley, an international recognized expert on child custody issues including international enforcement, that despite the recent changes, Japan still will not guarantee enforcement [of] custody orders from California. He relies on his years of experience dealing with the Japanese court and testifying in other courts about Japan’s failure to register or enforce non-Japanese order. 1) Stipulation that California would retain jurisdiction. While potentially helpful, Japanese courts would not be bound by such a stipulation. 2) Post an adequate monetary bond within Mother’s financial means, which could be forfeited-along with some child support. While some courts have found this option viable, this Court does not. Although many people do not forfeit bonds because of the loss of money involved, others look at the loss of the posted bond as the price to get what they want. In this case, Mother has made it clear that she would prefer that Father have no further contact with her or the minor child. While Mother has not indicated that she would ever violate any court orders, the reality is that if she were allowed to relocate to Japan with the child and then chose not to allow Father to visit with the child, and the only consequence would be that she lose her posted bond money, she might consider that a fair trade. 3) Register the California Order in Japan. Again, while registering the California order in Japan might potentially provide a safeguard to Father, there is no guarantee. In addition, Father would have to litigate the issue in Japan, a country he is a stranger in, against a Japanese citizen (Mother), involving a Japanese child. Despite the fact that other courts have used the above suggested remedies to deal with the potential lack of enforceability of California custody orders, this Court finds that the proposed remedies are insufficient to ensure the enforceability of this Court’s orders and protect the rights of Father if the relocation was authorized.